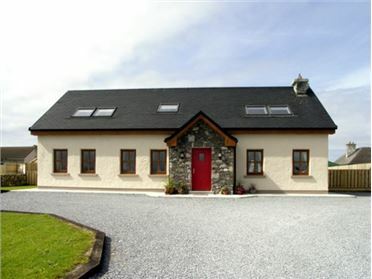 Stoney Cottage is a detached cottage in an elevated, rural position just outside the coastal village of Tully on the Renvyle Peninsula in County Galway. 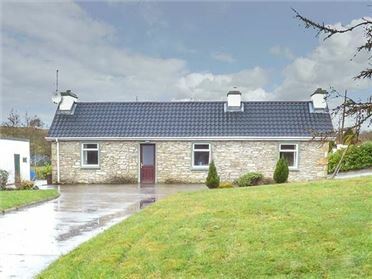 With two double bedrooms, one twin and one family bedroom as well as two family bathrooms, this cottage can sleep nine people. 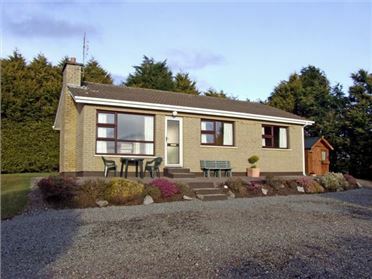 Also contained in the cottage is a fitted kitchen, a dining room and a sitting room with an open fire. To the outside of thecottage is a rear lawned garden with outdoor furniture and off road parking for four cars. 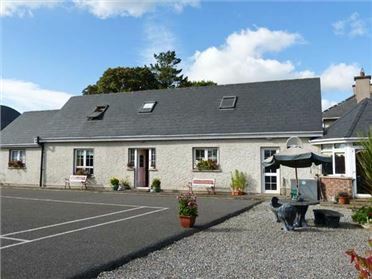 With two beaches just half a mile away and the whole of County Galway to explore, Stoney Cottage is a great family holiday home. Oil central heating with open fire. Electric oven and hob, microwave, fridge, freezer, washing machine, tumble dryer, dishwasher, TV with Freeview, DVD, video, CD player, radio, WiFi. Fuel, power and starter pack for open fire inc. in rent. Bed linen and towels inc. in rent. Cot and highchair. Off road parking for 4 cars. Rear lawned garden with furniture. Sorry, no pets and no smoking. Shop 5 mins walk, pub 1 mile.